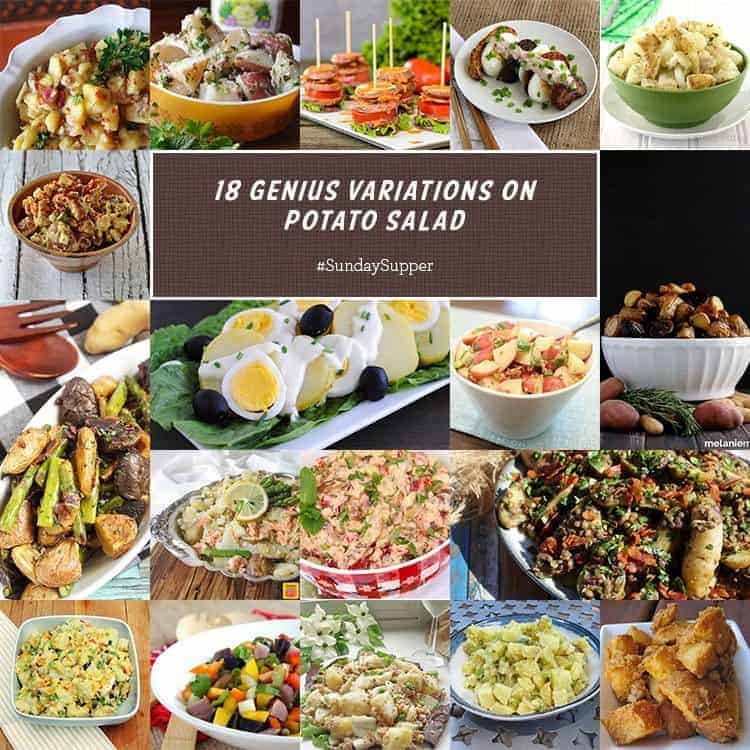 The versatile potato is an amiable partner with many flavors and that makes it the perfect base for a potluck salad. 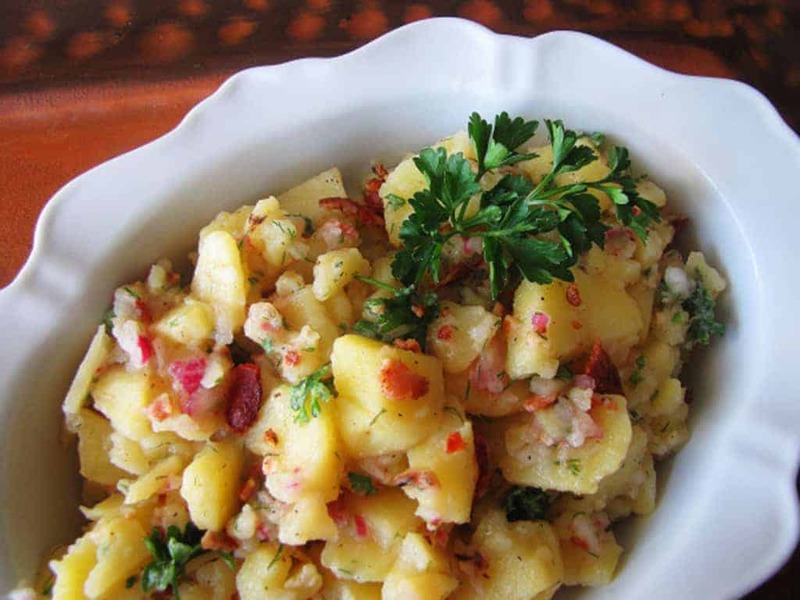 For variations on potato salad, consider adding crunchy veggies, fresh herbs, seafood or bacon. Change it up with a variety of dressings that include ingredients such as Greek yogurt, mayo, vinegar and mustard. 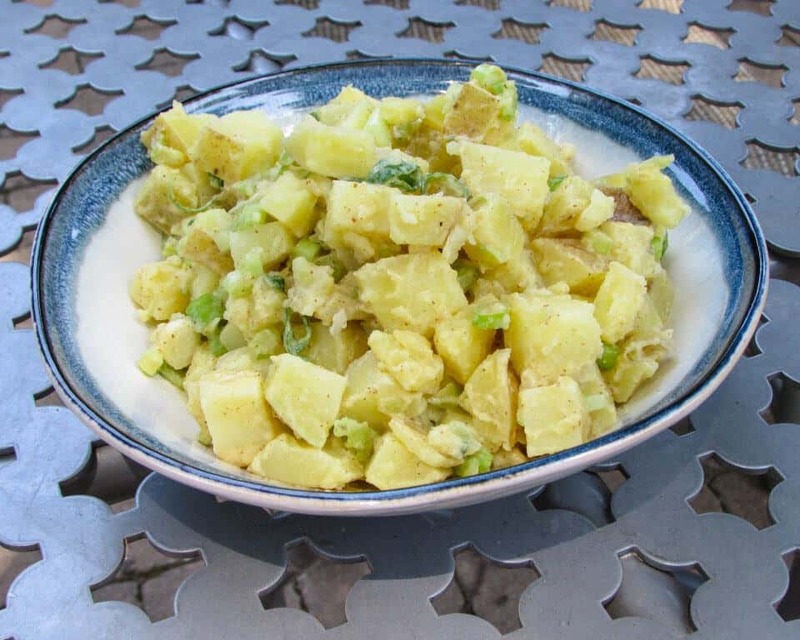 German Potato Salad from Sunday Supper – German potato is a classic no-mayonnaise picnic salad, and is best served warm or at room temperature. Did we mention it includes bacon? 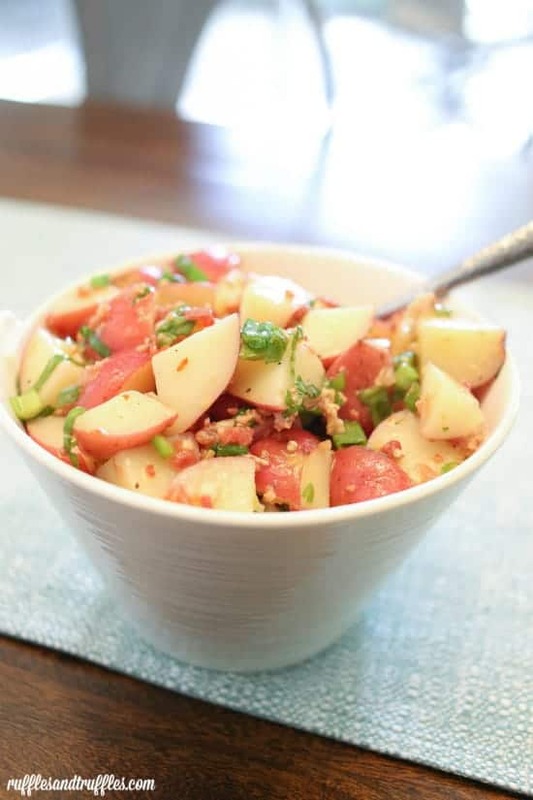 Minty Potato Salad from kimchi MOM – The addition of mint gives this potato salad a nice kick, working well with the tangy lemon and chive flavors of the vinaigrette. 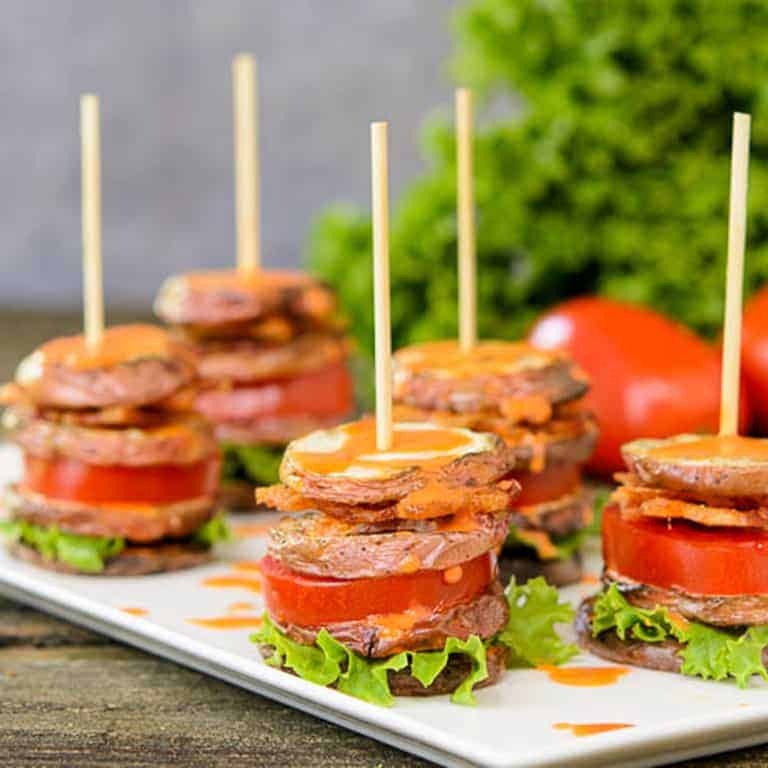 BLT Potato Salad Stacks from Magnolia Days – A tomato vinaigrette brings the tangy punch to an elegant potato salad stack that’s built to impress. 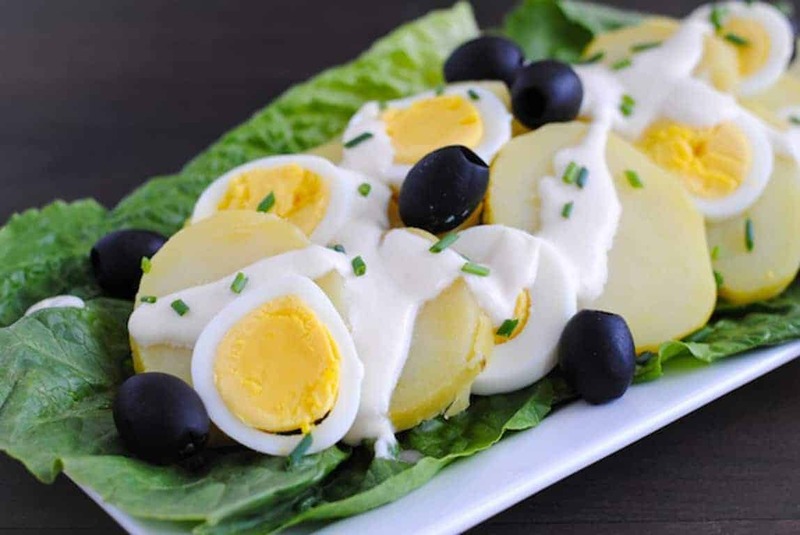 Deconstructed Potato Salad with Smoky Fingerlings from Shockingly Delicious – Fried then baked fingerlings are paired with sliced hard-boiled eggs and olives, then drizzled with a creamy mayo and lemon dressing. 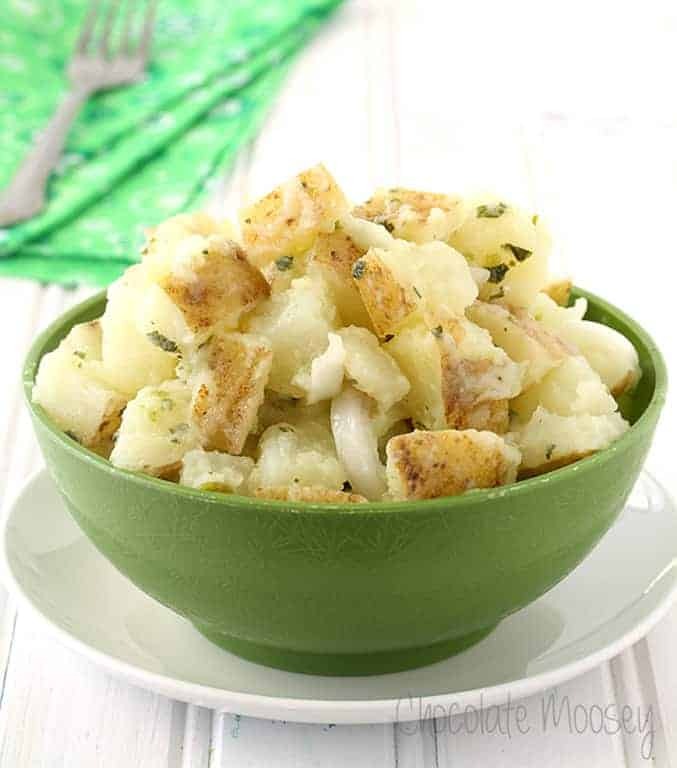 Italian Potato Salad from Chocolate Moosey – A garlic punch and fresh parsley bring flavor and freshness to a simply dressed potato salad. 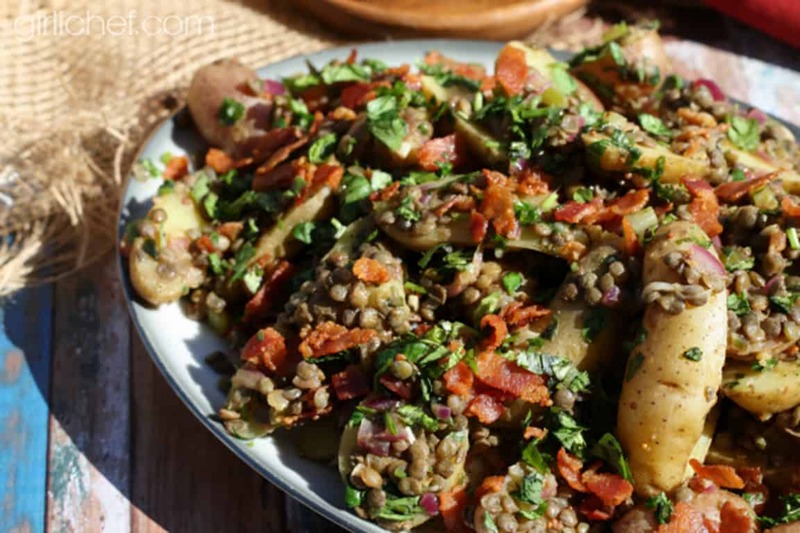 Lentil and Fingerling Potato Salad with Warm Bacon Dressing from girlichef – French lentils, bacon and cooked potatoes are tossed in a vinegar-based dressing and served warm. Peruvian Potato Salad from Foxes Love Lemons – This take on classic potato salad brings the heat with habanero peppers in both the salad and a dressing that also features queso fresco. 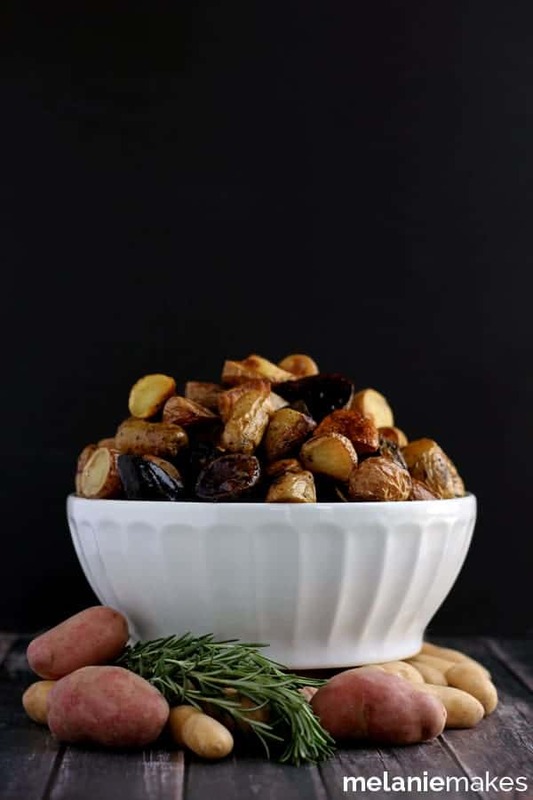 Roasted Balsamic Rosemary Potato Salad from Melanie Makes – Earthy rosemary brings an aromatic woodsy flavor to this low-maintenance potato salad. 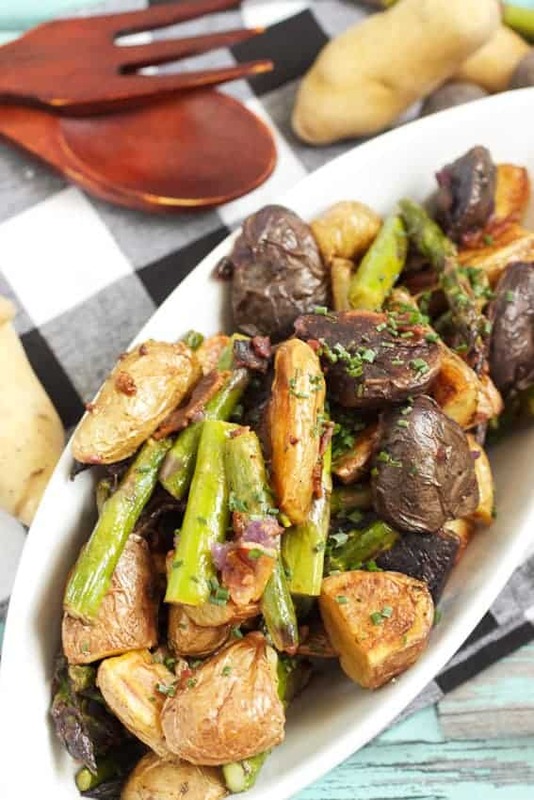 Roasted Fingerling and Asparagus Potato Salad from the Girl in the Little Red Kitchen – Asparagus adds both color and flavor to a salad side that might be the first thing that disappears from the potluck table. 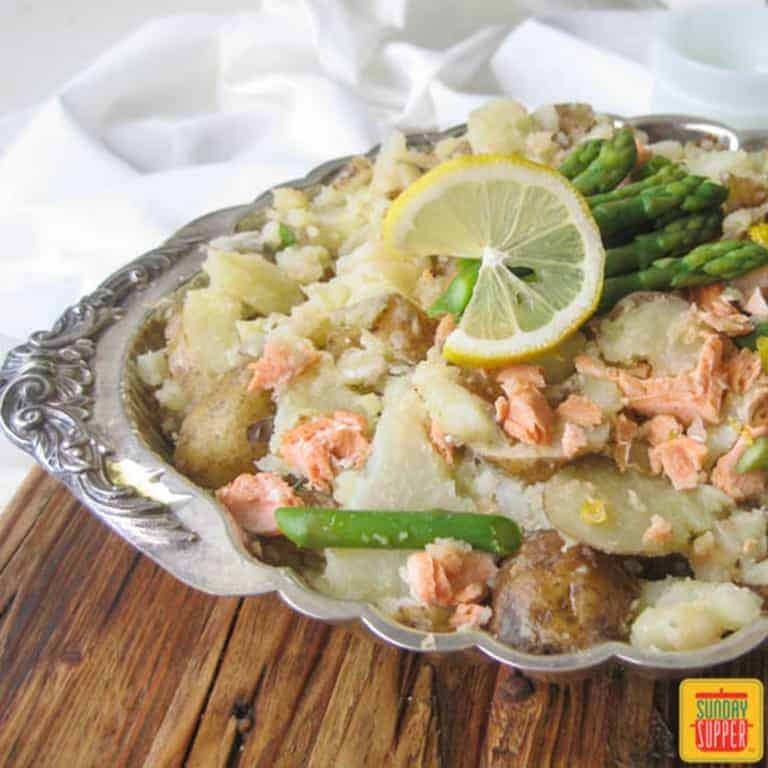 Salmon Asparagus Potato Salad from Sunday Supper – Salmon and asparagus transform potato salad from a side dish to the main event. 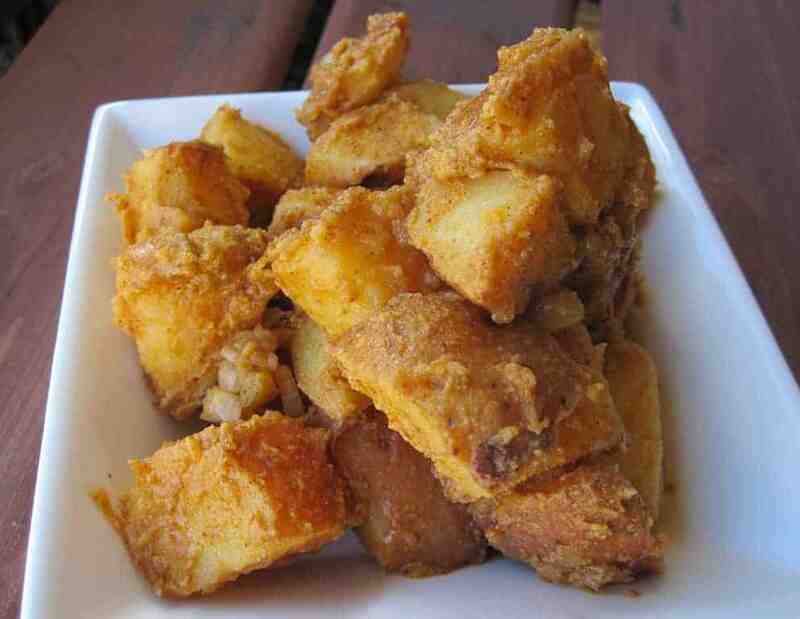 Southern-Style Potato Salad from Hezzi-D’s Books and Cooks – What makes potato salad Southern? A mayonnaise dressing plus bacon and hard-cooked eggs. 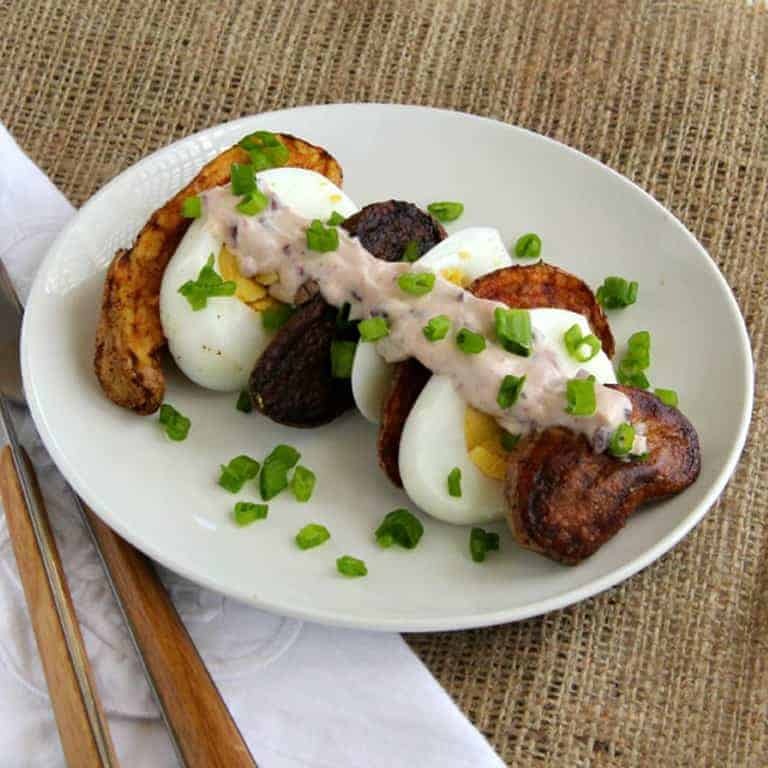 Tzatziki Potato Salad from Kudos Kitchen by Renee – Tangy tzatziki dressing turns an American picnic favorite into a salad with a Greek accent. 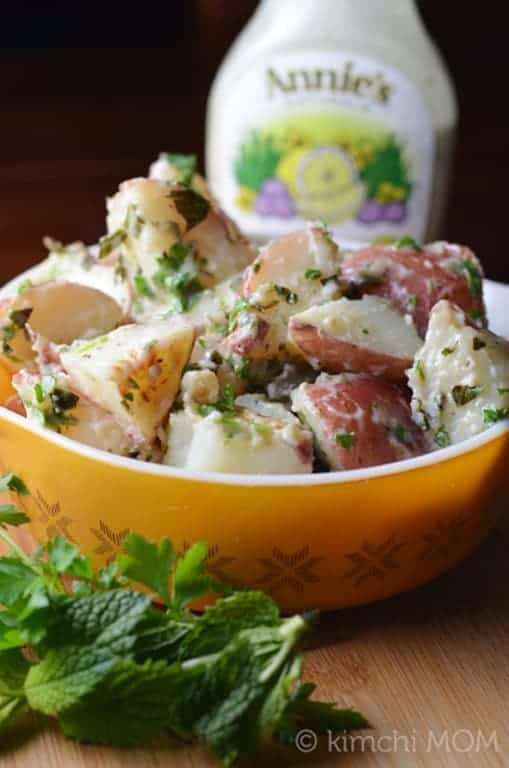 Zesty Potato Salad from Ruffles and Truffles – Fresh herbs from the summer garden add lots of fresh flavors to this potato salad. 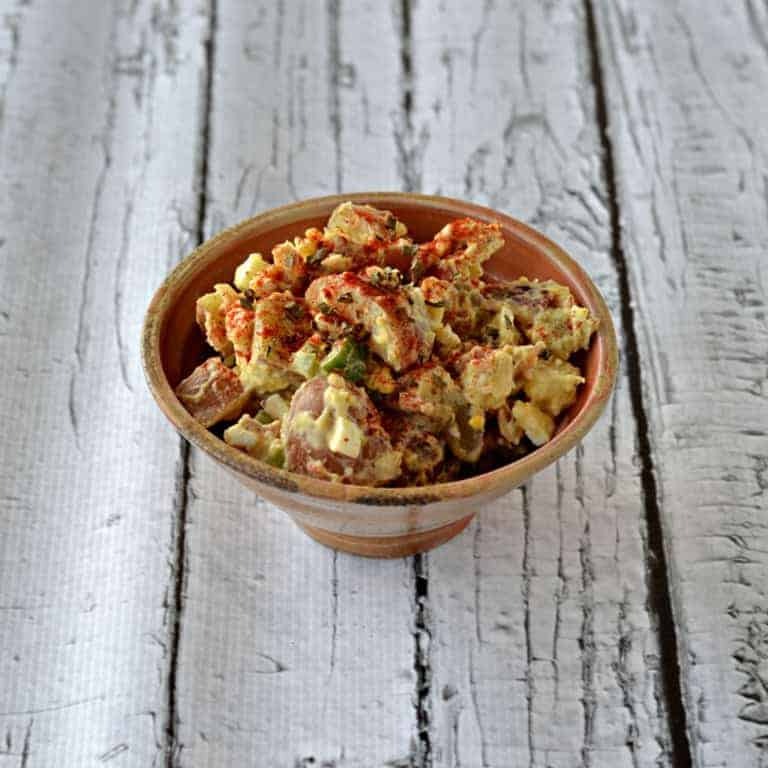 Ultimate Potato Salad from Bobbi’s Kozy Kitchen – Lots of crunchy veggies bring the yin to the potato yang in a salad with lots of creamy dressing. 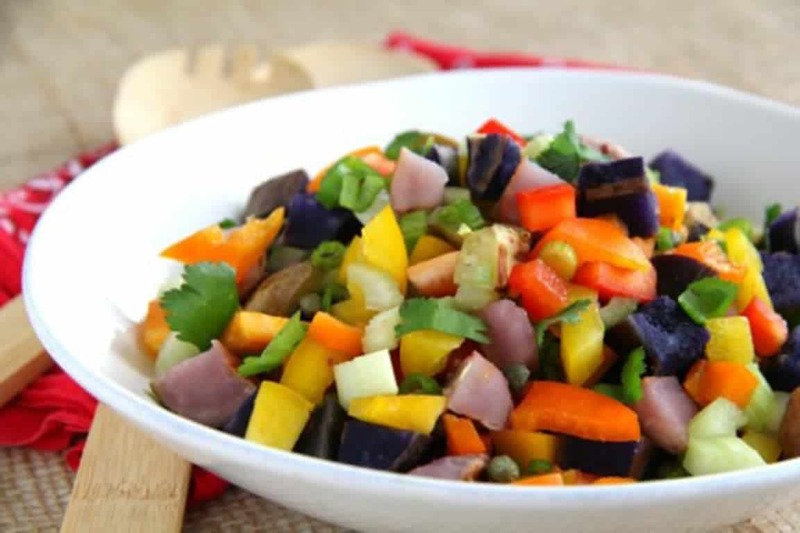 Grilled Rainbow Potato Salad from Shockingly Delicious – Tri-colored fingerlings are grilled then paired with tri-colored peppers for a flavorful and eye-catching salad. 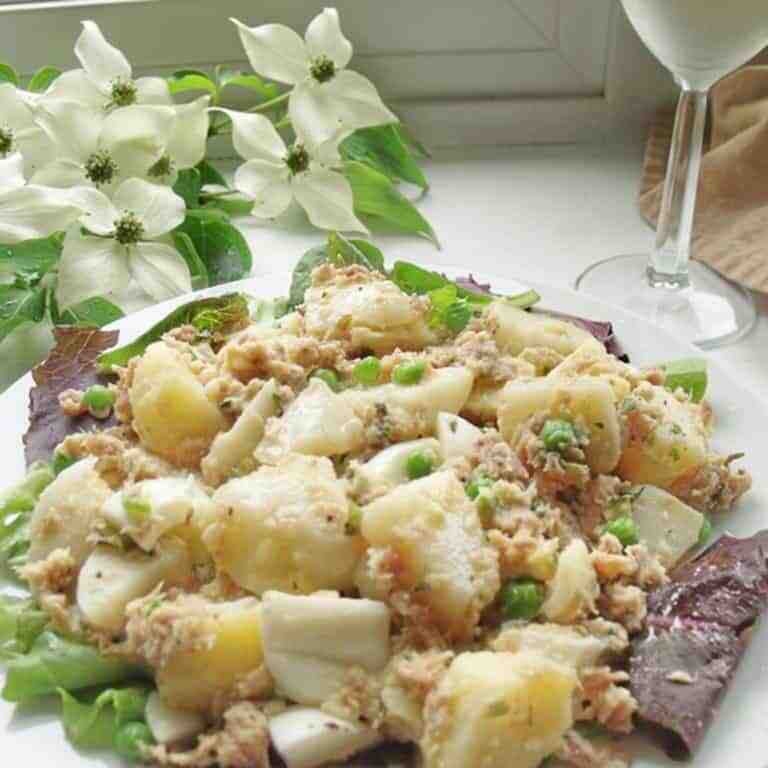 Tuna and Potato Salad from Cindy’s Recipes and Writings – Give your potato salad a French twist with the addition of tuna and a lemon-laced vinaigrette. 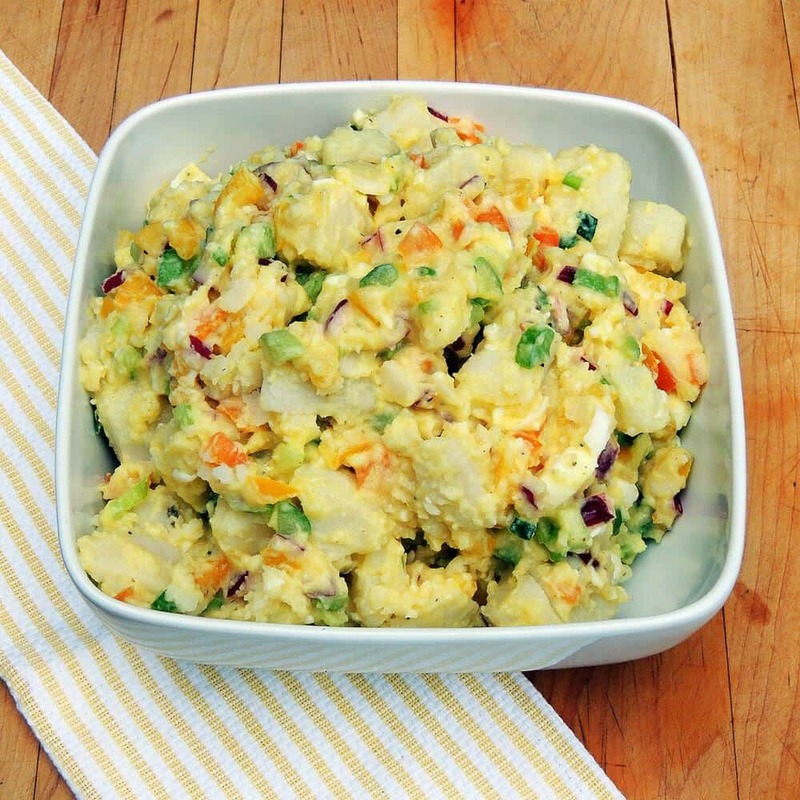 Gluten-Free Potato Salad from Gluten Free Crumbley – Well-cooked potatoes soak up the mustard-based dressing in this fabulous potluck offering. 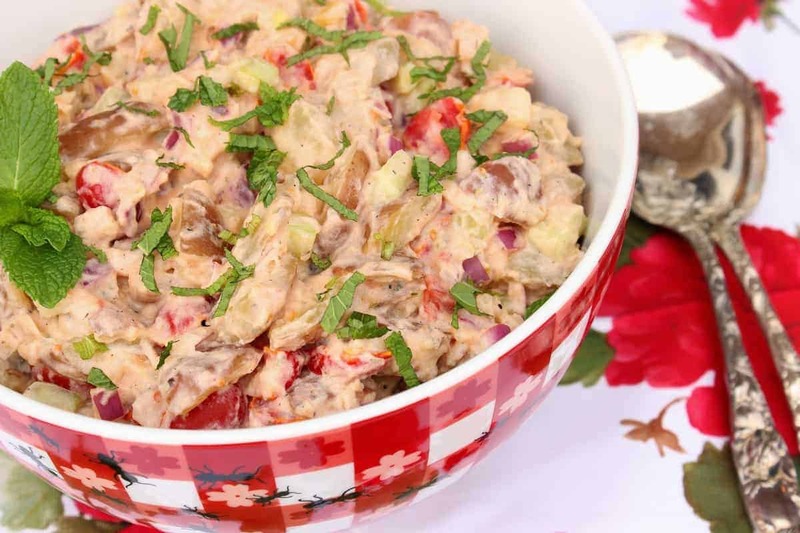 Spicy Vegan Potato Salad from Killer Bunnies, Inc. – Paprika, chili powder and hot sauce wake up the potatoes and taste buds in this zesty vegan salad. Oh boy do all of these recipes look so good! I know what my potato side dishes will be for a while.